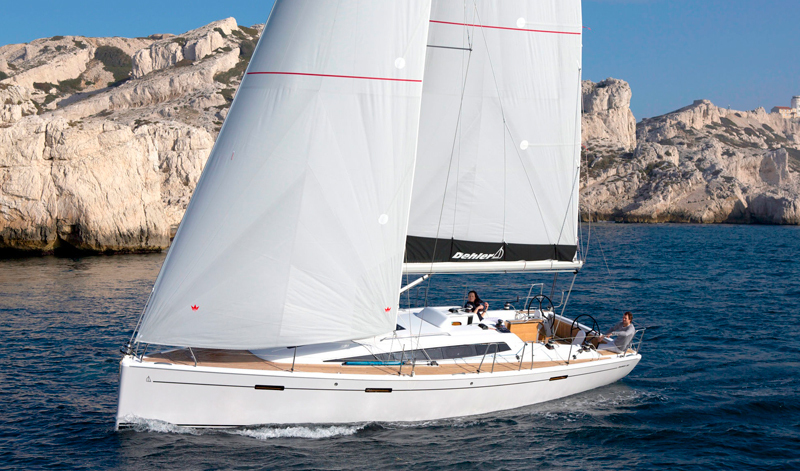 The Dehler 38 won this year’s ‘European Yacht of the Year’ award in the ‘Performance Cruiser’ category, which was announced at the Dusseldorf Boat Show. While many competitors in this segment concentrated almost solely on performance, this yacht was deemed by the judges to have successfully steered a middle course as a sports model that is also good for touring. They said that the specific virtues that characterise Dehler vessels, such as a high level of practicality and quality, as well as good balance, positive cruising performance and an interesting pricing policy were key points in the adjudication. We should bear in mind that the long established Dehler brand has been through a bit of sea change (excuse the pun!) as their new owners Hanse, shut down the former yard in 2012 and moved production to their own factory in Griefswald, Germany. 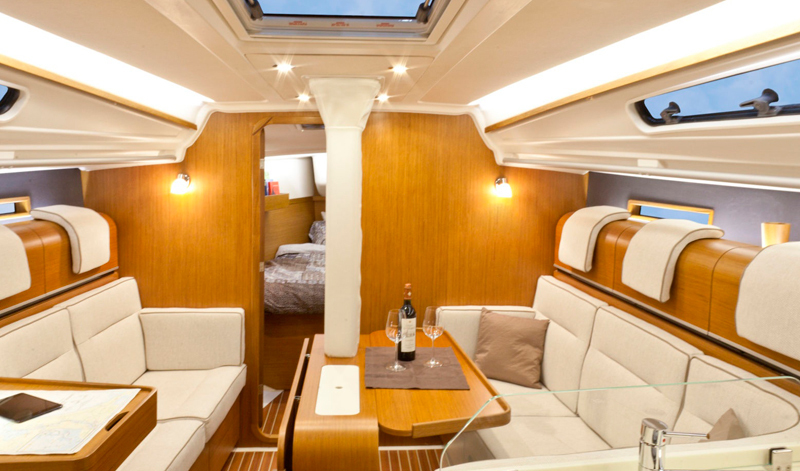 So, this is the first Dehler to be produced entirely in a Hanse yard, which has put it a little more under the microscope than usual, but it seems to have come up trumps! Being designed by Judel/Vrolijk gets her past the first base in the eyes of most commentators, and one of the main benefits of the move to Hanse with their economies of scale on production costs, is the price tag of €129.000 which some say, might prove to be the most significant attraction. 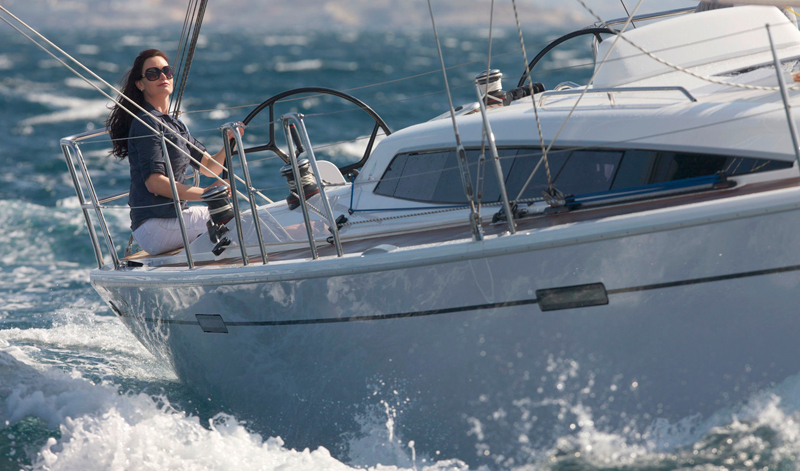 However she appears to be no slouch in the handling stakes, and according to boat tests carried out by experts such as Yachting World, she lacks none of the zest that Dehlers have become famous for. The test crew clocked a respectable 7.5 knots on a close reach, equalling the true wind speed, and pointing quite precisely under the helm, due to the 38’s relatively narrow underwater shape, and efficient slenderness ratio. Karl Dehler himself apparently drove the concept of the 38, and is obviously still keen to be involved in the development of the brand that his father started over fifty years ago. That seems to be a good sign for Dehler fans old and new, even if these days, the yachts themselves emerge from a Hanse factory.